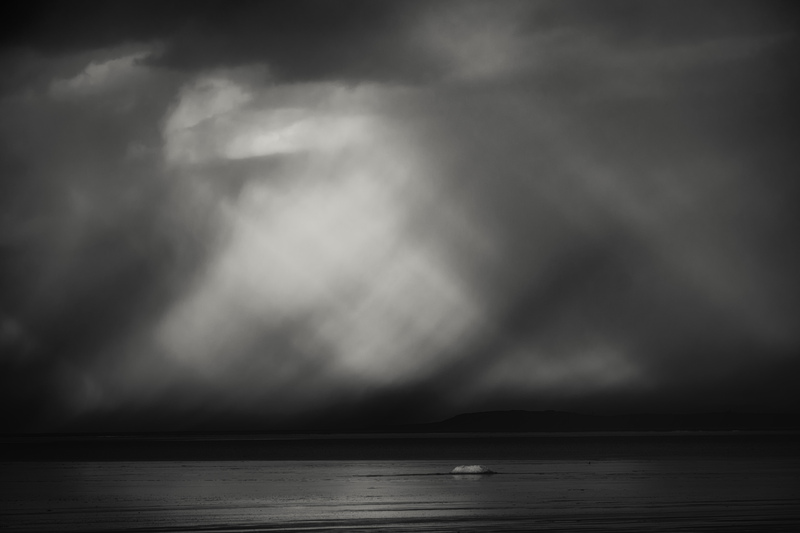 As I departed Antelope Island State park, the most unusual light formed. I watched as patterns literally crossed the sky, striking and mysterious…what lies beyond. This is beautiful, not much else to say really. Mark for a dramatic light scene, this one has a very soft ethereal feeling to it, something you don’t often see together. your processing of the sky in this image is masterful. Sort of Turner in monochrome - real sense of natural forces at work ! Thanks Ed! I felt fortunate I was able to actually produce something I saw in my head. The “problem” with this image is that you can cut it differently ways with the colors or warm BW or…you get the picture. Thanks Ian! It was a fun/difficult image to work with and one you could interpret several different ways which can be an issue. A study in simplicity; love it.